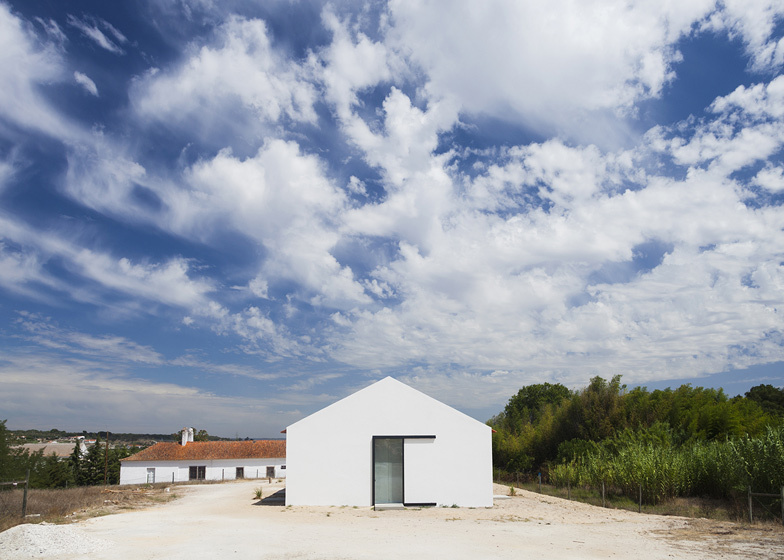 Lisbon studio Atelier Data has converted a row of stables in rural Portugal to create a summer retreat for a family (+ slideshow). The architects removed the partitions that separated each stable but retained the building's central pathway, named "the horse path", to use as a long corridor stretching though the house. "The building keeps its original logic exactly, where the same central corridor connects several spaces," Atleier Data told Dezeen. The building is divided into five equally sized rooms, separated by chunky dividing walls that contain toilets, fireplaces and closets. The corridor runs through the centre of each room and can be closed off using wooden doors with exposed bracing. "We decided to use the same logic of the old doors of the mews," said the architects. 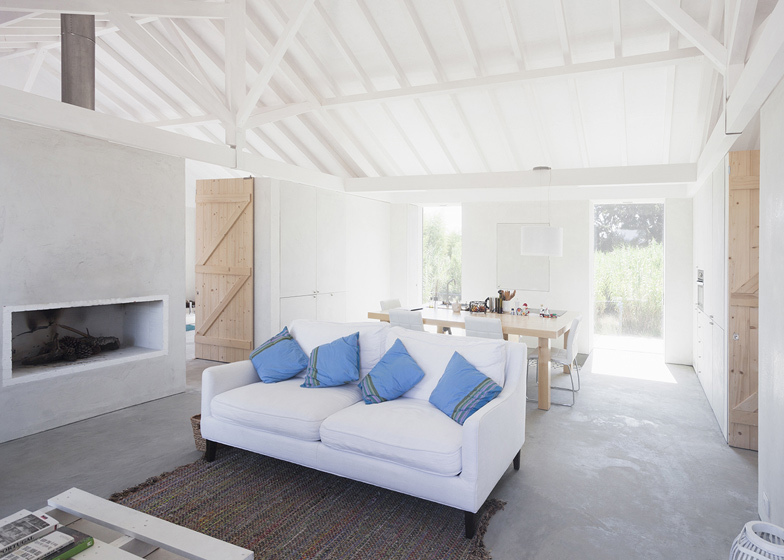 Wooden trusses and ceiling beams are painted white and left visible in each room. The floors are waxed concrete, apart from in the kitchen and bathrooms where the architects added colourful mosaic tiles. "We decided to use resistant and affordable materials that would fit in with both the old building and the new usage," added the architects. 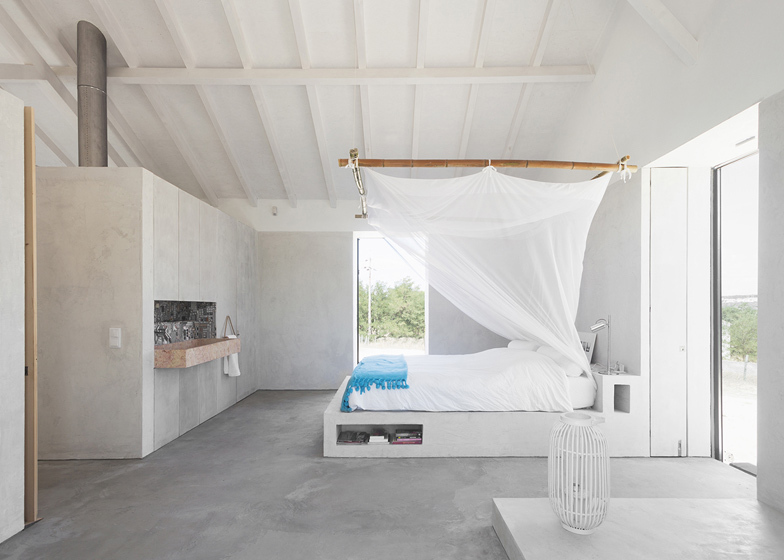 Four of the rooms are used as bedrooms and each features a wash basin decorated by artist João Mouro. 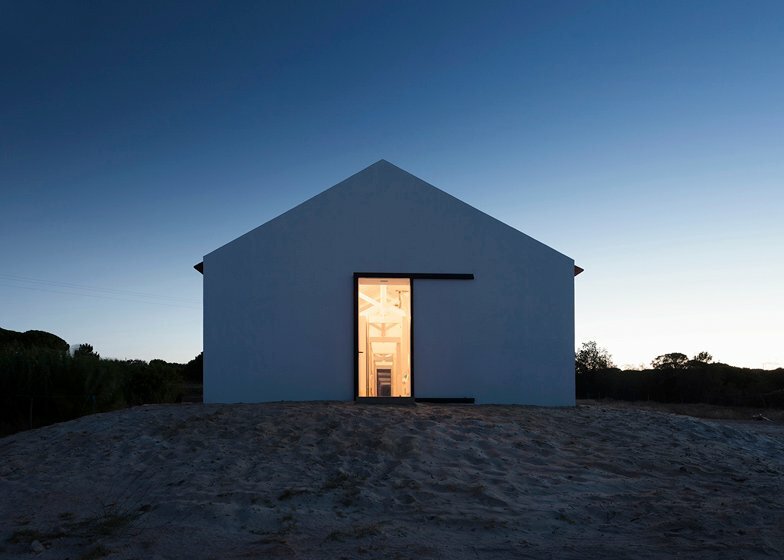 Instead of having an obvious front door, the house has 16 glazed entrances that slide open on all four elevations. 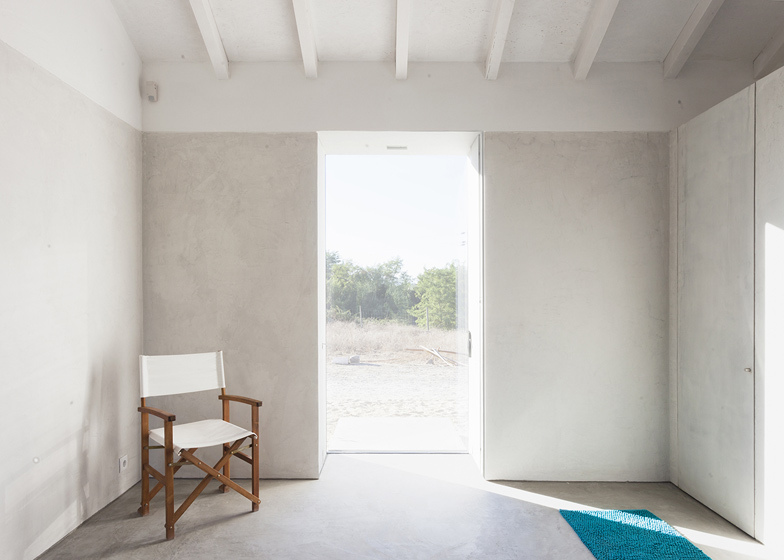 Other recently completed houses in Portugal include a residence with red concrete walls and a bright white house with a sprawling extension. Photography is by Richard John Seymour. 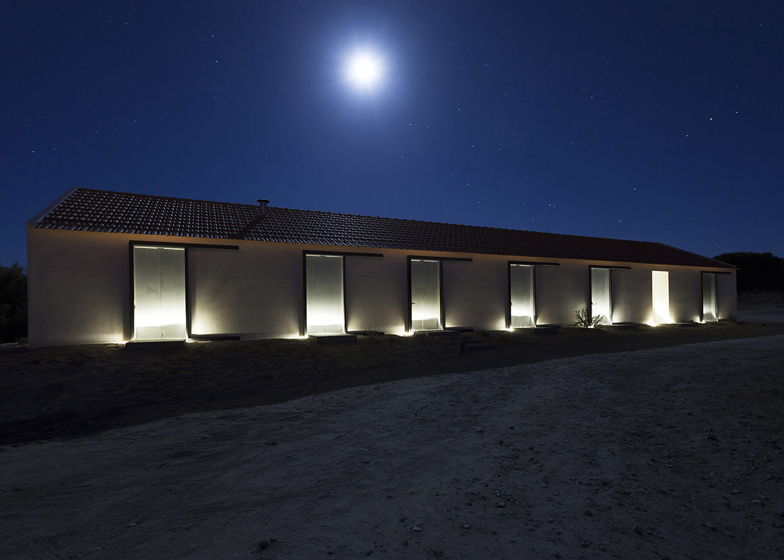 The intervention site is located in Alcácer do Sal, Alentejo, a region truly strategic in the country of Portugal because of its geographical, environmental and landscape features. In this area, Sado river was one of the main factors of growth due to its navigability. The extensive areas for the production of salt represented equally a strong economical development of the region, combined with the existing rich soil, which promoted agriculture. Agriculture is still the dominant activity of the region. 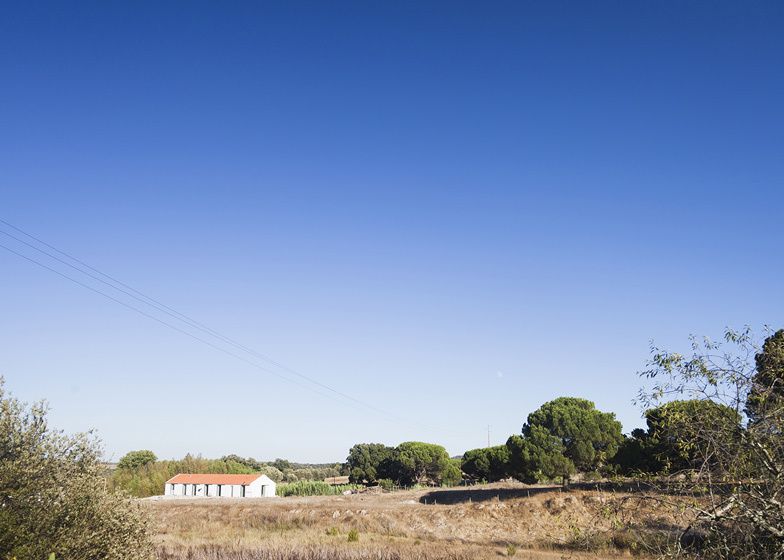 Named ‘Sítio das Lezírias’, the extensive property (approximately 14 ha) in which the intervention takes place, an ancient agricultural area, there are two existing buildings– the manor house, and the mews, whose rehabilitation project was done by Atelier Data. The conversion of the mews into housing, gave us the opportunity to think about domestic space and also to test the way that people can inhabit again ancient rural areas. 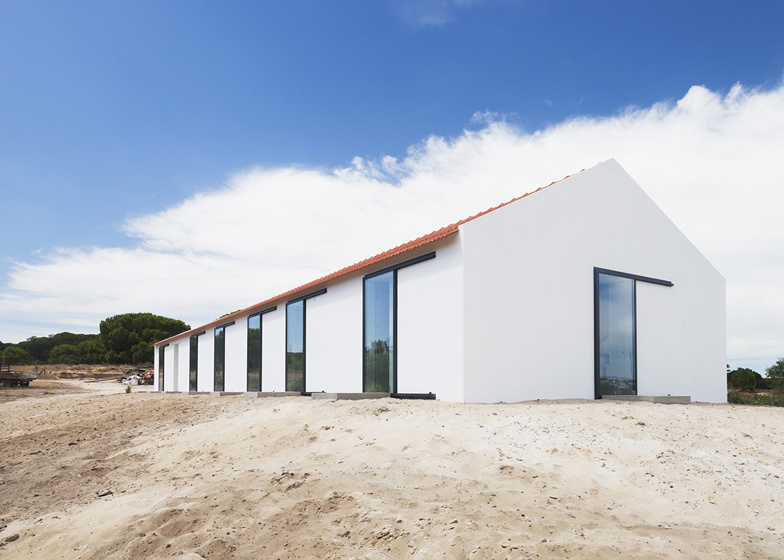 This project is the result of the first phase of a wide strategy that aims to revive an old agricultural land, combining new agricultural techniques with a new way of living.